Aaron Rodgers could've said a lot when it came to the team's loss against the Los Angeles Rams. For a game that lasted a few hours, we're all thinking about that one play that decided the Packers' fate. Rodgers didn't have to say much, as Ty Montgomery already sealed his spot, or lack thereof, on this offense after he blew the game with a costly fumble on special teams. Instead of kicking the man when he was down, he turned to his own offensive unit. The stud quarterback believes that the offense needs to pick up the sense of urgency. He is right. They proved they can play with anyone, which we all know to be true as long as No. 12 is back there taking the snaps. 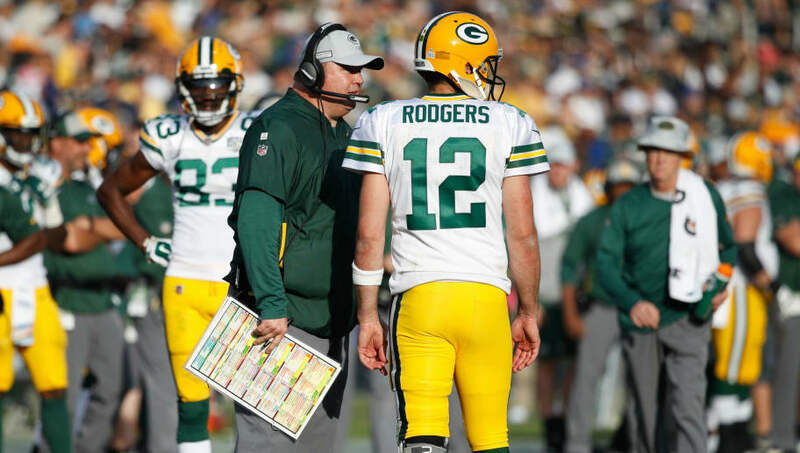 Montgomery may have disobeyed coaches, which took the ball out of Rodgers' hands at the end of the game, but it shouldn't have to come to that. The Packers have shown time and time again that they can move the ball down the field with ease when the game is on the line, but the clock shouldn't be winding down for this offense to turn on. Treating every drive like it's one that can potentially win the game is hard to do, if not impossible. That still doesn't mean they should wait until they're behind to realize they have to start putting points on the board. It has to do with some of the personnel decisions, as well as the play calling. The Rams defense is one of the best in the league, but Rodgers should still never finish a contest with only one passing score. If that's the case and they're keying on him, maybe they should give the ball to Aaron Jones more than 12 times considering he averaged over seven yards a carry. Now that this loss is behind them and they've fallen to .500 on the season, this urgency is going to be with them the rest of the way.